This page is referenced in our Step by Step Guide for Home Builders. 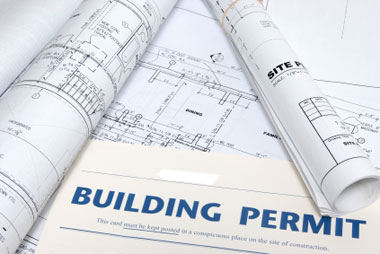 If you are unsure whether you need a building permit for a project in Thurston County, please call the Permit Assistance Center at (360) 786-5490 or TTY/TDD call 711 or 1-800-833-6388. Note: This page focuses on residential building permits. If you plan to develop land that contains critical areas or shorelines, or to subdivide property, please see our web pages on Land Use Ordinances and Land Use Applications. If you are proposing a nonresidential (commercial) project, click here. FAQs (this link will take you to another page). Generally speaking, a permit is required if you are starting a new construction project, remodeling and planning to change the footprint of an original structure, changing the roof pitch, or making any structural changes. Before seeking a permit, though, you should make sure that your project is actually allowed in the area in which you are building. A new structure unless it is exempt. Click here for more information. Garages and carports unless it is exempt. Click here for more information. First time installation of fixtures and appliances permanently connected to the electrical, mechanical, gas and/or plumbing system(s). Approval typically happens as part of the inspection process. Fences and privacy walls higher than 8 feet. Sheds that are attached to a house. Sheds or playhouses that are detached if they are greater than 200 square feet. Retaining walls supporting more than 4 feet of earth. Circuits or any other parts of the electrical system (click here for information about electrical permitting). One-story detached accessory structures. Click here for more information. Fences not over 8 feet (2438.4) high measured from the highest point to grade. Retaining walls that are not over 4 feet in height measured from the bottom of the footing to the top of the wall, unless they support surcharge (ie, holding back a load, such as a slope) or impounding Class I, II or IIIA liquids (ie, flammable liquids). Water tanks supported directly on grade if the capacity does not exceed 5,000 gallons and the ratio of height to diameter or width does not exceed 2 to 1. Sidewalks and driveways not more than 30 inches above adjacent grade, and not over any basement or story below and are not part of an accessible route (ie, an access route required under the Americans with Disabilities Act). Prefabricated swimming pools accessory to a Group R-3 occupancy that are less than 24 inches deep, do not exceed 5,000 gallons and are installed entirely above the ground. Group R-3 refers to one and two-family dwelling units, or adult and child care facilities that provide accommodation for five or fewer persons of any age for less than 24 hours. Temporary growing structures for commercial production constructed with the roof and side of polyethylene, polyvinyl or similar flexible synthetic material, used to provide plants with either frost protection or increased heat retention. For commercial growing, this is pursuant to WAC 51-50-007. Swings and other playground equipment accessory to detached one- and two-story family dwellings. Window awnings supported by an exterior wall which do not project more than 54 inches from the exterior wall and do not require additional support of Groups R-3 and U occupancies. Group R-3 refers to one and two-family dwelling units, or adult and child care facilities that provide accommodation for five or fewer persons of any age for less than 24 hours. Non-fixed, movable fixtures, cases, racks, counters and partitions not over 5 feet 9 inches (1753 mm) in height constructed under the International Building Code. Patios or decks not more than 30 inches above the adjacent grade that are accessory to structures constructed under the International Residential Code. Ceramic, tile, hardwood floors, carpet. Replacement of a glass or glazing within an existing window pane or a door within the existing frame. If you are widening or changing the door frame or window frame, you will need a permit. Detached sheds or playhouses that are 200 square feet or less in size. Note: You must still meet setback requirements per the zoning ordinance (see Chapters 20, 21, 22 and 23). Self-contained refrigeration system containing 10 pounds or less of refrigerant and actuated by motors of 1 horsepower or less. The stopping of leaks in drains, water, soil, waste or vent pipe, provided, however, that if any concealed trap, drain pipe, water, soil, waste or vent pipe becomes defective and it becomes necessary to remove and replace the same with new material, such work shall be considered as new work and a permit shall be obtained and inspection made as provided in this code. The clearing of stoppages or the repairing of leaks in pipes, valves or fixtures and the removal and reinstallation of water closets, provided such repairs do not involve or require the replacement or rearrangement of valves, pipes or fixtures. Portable ventilation appliances, evaporative coolers, independent fuel cell appliances, heating appliances and cooling units. Piping within any heating or cooling code regulated heating equipment. Replacement of an existing forced air hearing or electric heat pump. Be sure to visit our FAQs page for answers to common questions we receive at the Building Development Center. Phone: (360) 786-5490. TTY/TDD call 711 or 1-800-833-6388. E-mail: permit@co.thurston.wa.us.